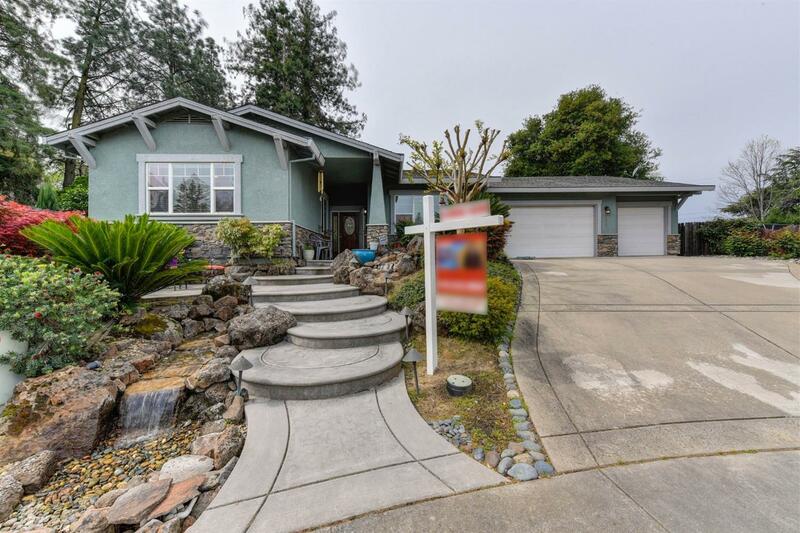 Citrus Heights Beauty that is a Newer, Custom, Stay-cation home! Cascading rock waterfall path up to the front door, Ideal Open floor plan, AND Gorgeous low-maintenance backyard oasis is ready for all your entertaining- 4-hole putting green, man cave, swim spa (your choice if it stays), fire pit, 2 separate patios, different levels for different Fun! EXPANDED Chef's kitchen with island, pantry, AND a Fireplace. 3-Car garage with Massive storage, both built-in wall and above. 4 - possibly 5 bedrooms - including Gorgeous master suite w/luxurious bath & outdoor access with your own patio and fire pit. Truly a Dream home!